PRICED FOR QUICK SALE!!! LOWEST PRICED 03 LINE UNIT... Dont miss this opportunity. The W SOUTH BEACH is elegant and sophisticated and offers the highest level of service and style. 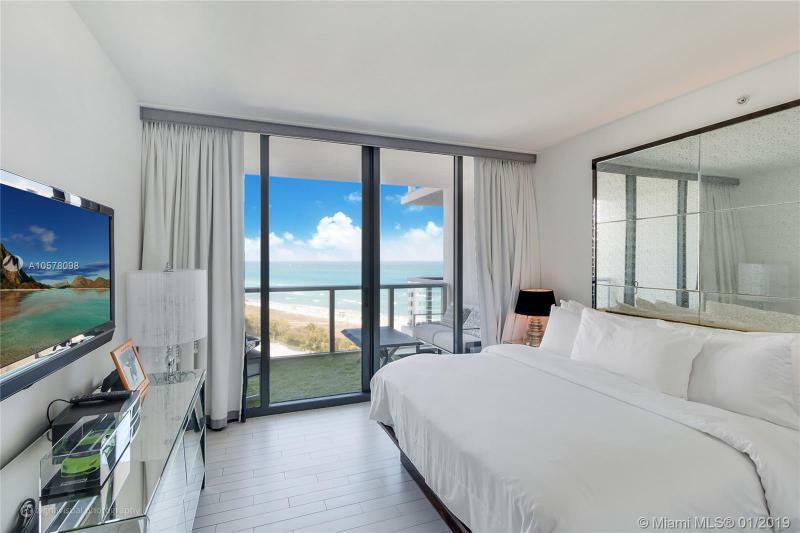 This unit is part of the hotel program offering a full concierge service, state of the art amenities, amazing ocean views, private balconies, spa-ready bathrooms as well as collectable art and designer furniture. This Spectacular Studio is a condo/hotel unit with a southeast exposure overlooking the ocean. Positive cash flow! Excellent investment! Best price in this line! Best South Beach Ocean View! WORLD CLASS AMENITIES!!! BEST LOCATION... Dont miss this opportunity. The W SOUTH BEACH is elegant and sophisticated and offers the highest level of service and style. This unit is part of the hotel program offering a full concierge service, state of the art amenities, amazing ocean views, private balconies, spa-ready bathrooms as well as collectable art and designer furniture. LOCATION! LOCATION! LOCATION! Welcome to the world class W on South Beach.This is without a doubt the best line of all studios at W, this particular unit boasts DIRECT (East) views of the crystal blue waters of Miami Beach. Own a piece of the ultimate resort lifestyle, complete with amenities such as slick Chinese, fine seafood restaurants, state of the art spas, tennis courts and even a nightclub to make your night more exciting. A specious private balcony also renders a select view to where it all happens during the day, the Ws infinity-edge pool. Refined and luxurious, the W attracts some of the most privileged and famous people from around the world. Exquisitely furnished and finished this studio offers one of the best selections and values in the building. The W is where the lavish lifestyle lies. BEST UNIT IN THE W SOUTH BEACH! Location, Location, Location. Dont miss out on this on owning an elegant and sophisticated residence in the heart of South Beach. The W SOUTH BEACH overs the highest level of customer service and style. This unit is part of the hotel program offering a full concierge service, state of the art amenities, amazing ocean view, private balconies, spa-ready bathrooms as well as collectable art and designer furniture. This Amazing Studio has a fantastic view of the ocean. POSTIVE CASH FLOW! Excellent opportunity. Best price in this line. Best South Beach Ocean View! HUGE PRICE REDUCTION! Investors Alert ! Best priced 1 bedroom Unit in W South Beach Hotel and Residences offers the Ultimate in Luxury Resort style living with 3 on site Restaurants, 24 hour room service, Beach and Poolside services, world class Spa and Training facilities complete with basketball and tennis courts. Fully furnished 1 bedroom/ 1.5 bathroom. Panoramic South-East Ocean and Intracoastal views! Equipped kitchen: 2 burners stove, small fridge, dishwasher, microwave, pantries, lots of built ins closets through out the unit! The W, one of the most Prestigious Condo/Hotels on South Beach. This studio on the 26 line is the most desirable. Situated closest to the Beach, it boasts a SE view overlooking the Ocean with a a panoramic view that spans all the way to the Miami City l ights. This unit is Elegantly furnished with a King size bed, 42 flat screen TV, Bose iPod docking station, mini refrigerator, microwave, mini bar and all the extras. Easy to show! Spectacular C ocean residence on the 10th floor. This residence is exquisitely finished, offering mesmerizing wide Atlantic Ocean, beach, and city panoramas through floor-to-ceiling glass. The Residences at W South Beach provide world-class service and the ultimate resort lifestyle in the heart of South Beach, with 300 ft of ocean frontage and steps from the white sandy beach. Each resident will enjoy the ultimate effortless luxury lifestyle. Trendy and chic W South Beach! Direct ocean 1/1, NE corner. Offered fully furnished. For the sophisticated buyer that appreciates a full-service condo, with pools, spa, beach services, excellent restaurants and many other amenities! Walking distance to the best South Beach has to offer. 24-hour notice to show please. Spectacular C Ocean Residence on the 11th floor. 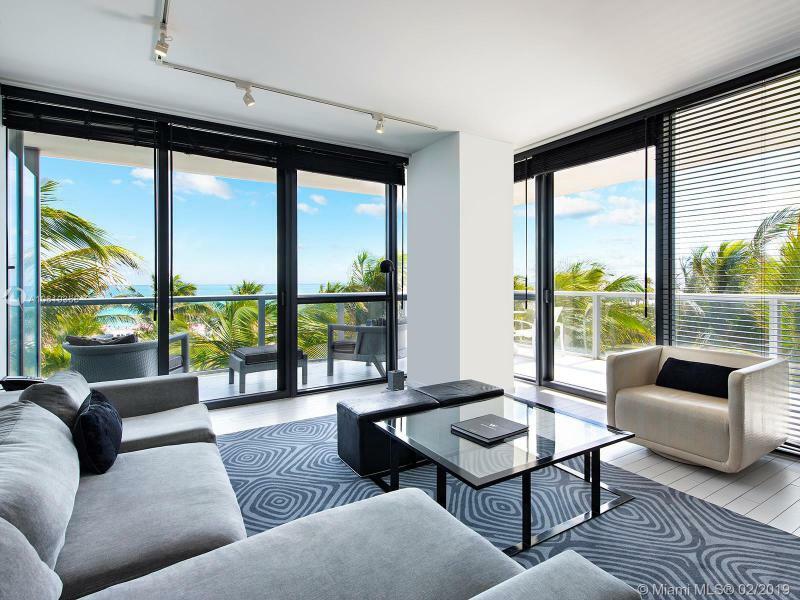 This residence is exquisitely finished and furnished offering mesmerizing wide Atlantic Ocean, beach and city panoramas through floor-to-ceiling glass. The Residences at the W provide world class service and the ultimate resort lifestyle in the heart of South Beach. Within 300 ft of the ocean and steps away from the white sandy beach. Each resident will live the ultimate effortless luxury living. 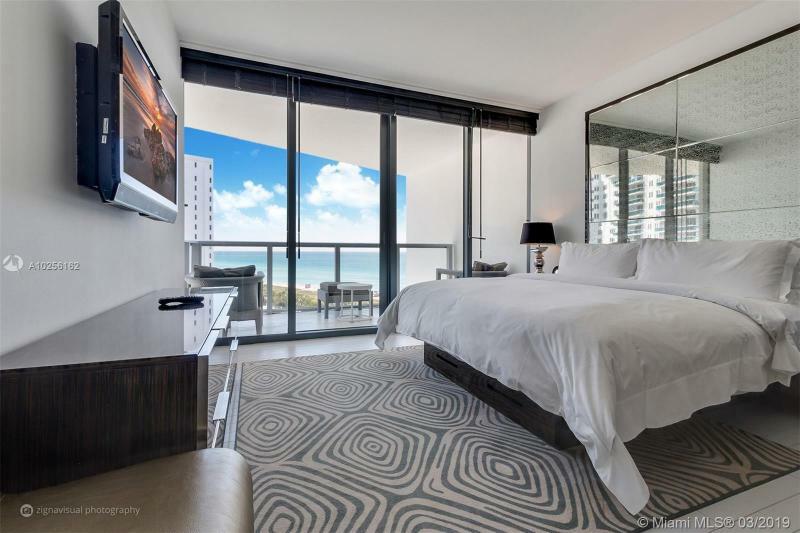 This luxury residence at the W South Beach is a 2 bedroom 2.5 bathroom suite. The master bedroom has a king bed and the second bedroom accommodates 2 more guests on a queen bed. This suite has 2.5 bathrooms, 1287 sq. feet of living space, and a spacious balcony with views of the Atlantic ocean, the bay, and the city of Miami Beach which is accessible from both the living room and master. This condo is currently in the hotel program generating strong revenue. This is the least expensive 2-bed in the entire building! Exquisitely finished and furnished one-bedroom plus den oceanfront condo-hotel residence. Complete world-class hotel service and amenities, fabulous restaurants, incredible pool and cabanas. Truly the ultimate resort lifestyle in the heart of South Beach. This beautiful residence has been afforded generous outdoor space and furnishings by renowned design team Yabu Pushelberg. A beautiful and spacious 2 bed Oceanfront condo with the famous W Hotel service. Tropical palms and ocean views from this SE corner unit. Stylish finishes and furnishings by Yabu Pushelberg, turn-key. This is truly luxury resort-style living. Enjoy the private owners beach club, a fantastic pool with poolside service, Bliss Spa, sauna and steam, fitness facility, tennis, basket ball courts & business center. Two of Miami Beachs favorite restaurants the Dutch and Mr Chow are on site along with great indoor and outdoor bars. The concierge team at the W is simply fantastic with an extensive list of services. The W is a few blocks from all of South Beachs hot spots, restaurants, shops and Lincoln Road. The apartment can be placed in the hotel program or rented out privately when not in use.